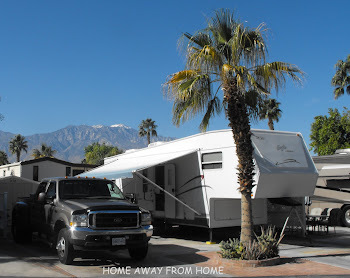 We are staying in an RV park just outside of the state park but drive thru the park on most of our trips to see the sights. The Black Hills of South Dakota have beautiful sights to offer and many animals roaming free, who seem to enjoy getting their pictures taken. I am not sure the sound I heard from the buffalo was saying he was happy, maybe not all animals enjoy picture posing ! It was kind of a huffing sound, but maybe they just have a ‘purring’ sound like a kitten?? He is a beauty, but I kept my distance and was behind the truck and with the zoom lense was able to get what seems to be a close-up. There is no doubt that a herd of buffalo is far more intimidating than a herd of cattle. The buffalo free range the park but people are warned that buffalo are dangerous and do not approach them. There are as many as 1500 head of North American bison, more commonly known as buffalo. They can grow to 6 feet tall and weigh more than 2000 lbs. There is a round up done yearly and has become a great public event held in September, attracting up to 11,000 people. I can only imagine what it would feel and sound like when 1500 buffalo are pounding the trail to come to the corrals. This is when the size of the herd is adjusted, according to the predicted availability of grassland forage. The young are vaccinated and they’re all checked out by a veterinarian. Mule Deer just go wherever they want. We’ve seen them all over, especially at dusk enjoying the grassy fields, the parkland or private yards. This is a very rural area so for the most part they are doing no harm. They hop a fence with such grace and ease, and go into yards and help themselves to delicious plants, if there are any left. It looks like most people have their gardens surrounded by wire mesh. Deer are beautiful and there are plenty of them but I am sure they can be a pest at times. We didn't see a lot of turkey but they were seen scampering across the road a few times on our trip. On one of our visits to Mt. Rushmore, we had just started up the walk of flags when there was a mountain goat, then a baby one on the hillside adjacent to the walkway. We watched for a few minutes and managed to get a picture of the baby feeding from mom. They were barely interested in all the spectators that they had, guess they’re used to that. We passed a herd of burros as we travelled the road. They’re very curious and not in any hurry to get off the road and out of the way. The are not to be given food, but it looks like they may just have been treated on occasion and get their nose in the window, just in case. Burros are not native to the Black Hills but are descendents of those brought here to haul visitors to the top of Harney Peak. Following discontinuation of the rides, the burros were released into the park. We also saw some Bighorn Sheep who are part of the Rocky Mountain bighorn brought here once the original Audubon subspecies became extinct about 1920. Their coats consist of short hair, not wool. They are very similar to the ones we see at home in Kamloops, BC, Canada. I think the most surprising thing that I learned was that the animal management tool used in the park is hunting programs. The fees collected thru hunting licenses help fund wildlife management programs. Species managed through hunting in the park include bison, elk, deer and turkey. The only one we didn’t see on our travels thru the parks is the elk, but they are shy and stay fairly hidden. 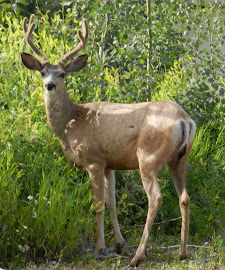 Other wildlife calling the park home are Whitetail Deer, coyotes, mountain lions, and bobcats. The pronghorn are often incorrectly called antelope, so we may have seen them plus the prairie dogs seen scampering across the road.